You might not know much about them, but dampers are an important part of the construction process in a home or business. Dampers are installed and applied within the ductwork of a building, the chimney or other air handling equipment to become an essential part of the heating, ventilating and air conditioning (HVAC) system. They are used to balance airflow throughout a structure and set individual rooms at a comfortable temperature. While there are many types of dampers to choose from, there are three in particular that may be especially important for you to consider having installed in your home or business. Fire dampers, smoke dampers or combination fire/smoke dampers are part of a passive fire protection system that works to protect you and your property should an emergency ever arise. When fires begin in a building, they frequently spread from room to room through the HVAC system. If a fire damper has been properly installed, it will repress the fire and keep it contained to its place of origin allowing more time for detection, evacuation and suppression. Once a duct that is housing a fire damper is exposed to rising temperatures high enough to melt a fusible link, the damper blades will close and prevent heat and flames from continuing to infiltrate and advance throughout the ductwork. When choosing a fire damper, considerations should include its hourly fire resistance rating (how long it can obstruct the fire), its airflow closure rating (static or dynamic) and its blade design (curtain or multiple blade). Building codes will determine the specific requirements regarding placement of a fire damper in walls and flooring. 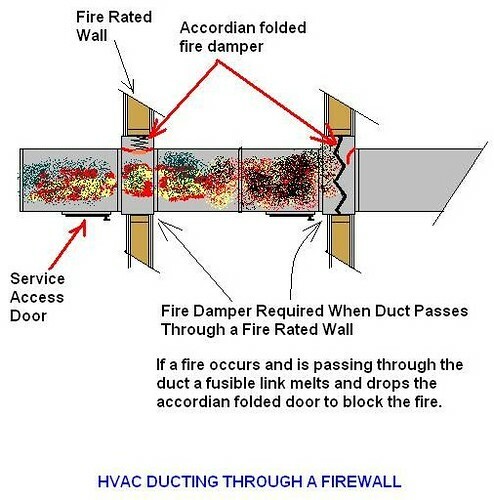 While fire dampers do an important job of containing heat and flames, they don’t do much for keeping smoke and toxic gases from traveling through the ductwork of a building. This is often the cause of some of the most serious health conditions that result from fire-related incidents, and that is what the use of smoke dampers are intended to prevent. Smoke dampers are triggered by a structure’s smoke detection system or fire alarm, which causes them to automatically begin to do their duty of blocking smoke from spreading throughout an HVAC system. They can be motorized by either an electric or pneumatic actuator and are capable of being opened or closed from a remote fire command station if needed. 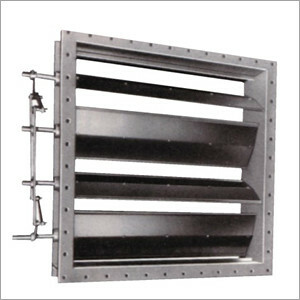 The general applications for smoke dampers include closing once smoke is detected to keep toxic air and smoke out of ventilation openings or ducts, or they can be part of an engineered smoke control system, which uses walls and floors as roadblocks to control smoke migration and pressurize the area around the fire. When choosing a smoke damper, considerations should include leakage rating, elevated temperature rating, operational rating and blade design (3V and airfoil). 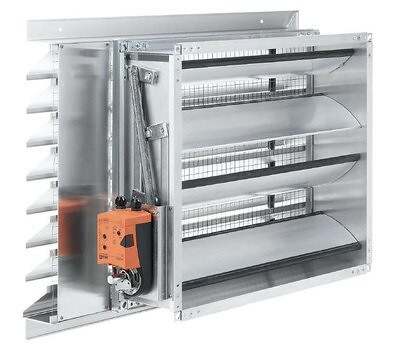 Combination fire/smoke dampers give buildings the protection of both types of dampers together in one unit. They are often installed in HVAC systems that require both a fire damper and a smoke damper in the same location. They will also close their blades upon the hazard of flames, heat and smoke to prevent further penetration but will do so without causing pressure issues like a standard fire damper. Fire and smoke dampers should always be up to code regulations and need to be maintained and inspected just as with any other life/safety system. Tiffany Olson is a blogger who lives in Northern California. She gained her knowledge of home improvement related topics over the years from her dad who is a life-long Union Carpenter. When she’s not writing or researching some of her favorite past times are creating art, reading, cooking, and hiking.